Then I contacted Richard R. John. Thanks for the photograph. The artifact is extremely interesting--and quite important historically. Higginson had long been a financial backer of American Bell (which became American Telephone and Telegraph in 1900)--by way of his connection with the financial house of Lee, Higginson & Co. AT&T staged several calling ceremonies in 1915. The transcontinental telephone line linked the Atlantic seaboard with the West Coast (and is often referred to as the New York-San Francisco line). This was the first line to use the audion--an early vacuum tube. Thus, it is often regarded as a key event in the history of modern electronics. I should think that this telephone deserves a prominent place in any display of telephone artifacts. In further investigation, I found out that four or more transcontinental telephone calls were made on that night in 1915. They were made from New York, Boston, Chicago, Philadelphia etc.. All to Thomas Watson in San Francisco, California. Mr. Watson's voice came out of that receiver!!! One of four telephones used to inaugurate the transcontinental telephone line on January 25, 1915. 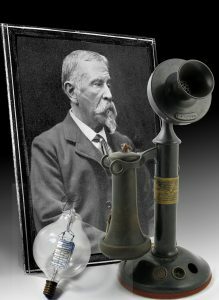 Higginson, a civil war hero and founder of the Boston Symphony, had long been a financial backer of American Bell (which became American Telephone and Telegraph in 1900) by way of his connection with the financial house of Lee, Higginson & Co.
AT&T staged several calling ceremonies in 1915. The first call was initiated by Thomas Watson, Alexander Graham Bell’s former assistant, at the opening of the Pan-Pacific Exposition in San Francisco. 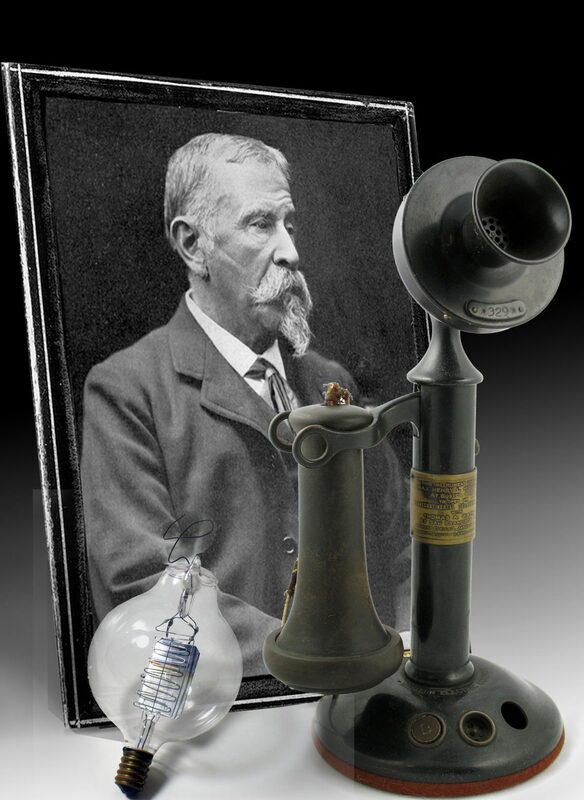 Alexander Graham Bell, inventor of the telephone and co-founder of AT&T, led a group of dignitaries in New York. AT&T President Theodore Vail spoke from Jekyll Island, Ga. And U.S. President Woodrow Wilson spoke from the White House. The transcontinental telephone line linked the Atlantic seaboard with the West Coast (and is often referred to as the New York-San Francisco line). This was the first line to use DeForest’s audion–an early vacuum tube. Thus, it is often regarded as a key event in the history of modern electronics. Photo: Henry Lee Higginson with his telephone. Also shown is the De Forest Long-Plate audion vacuum tube that helped make the long distance line possible. All are on display at the Museum.